A tiny village become in Aude has become the first in France to pay for and build its own solar farm to provide enough electricity for each of the 229 residents. The pioneering small-scale 250KW solar power project at Luc-sur-Aude in Occitanie went ‘live’ in mid-December and has already produced 14,000kWh of electricity. 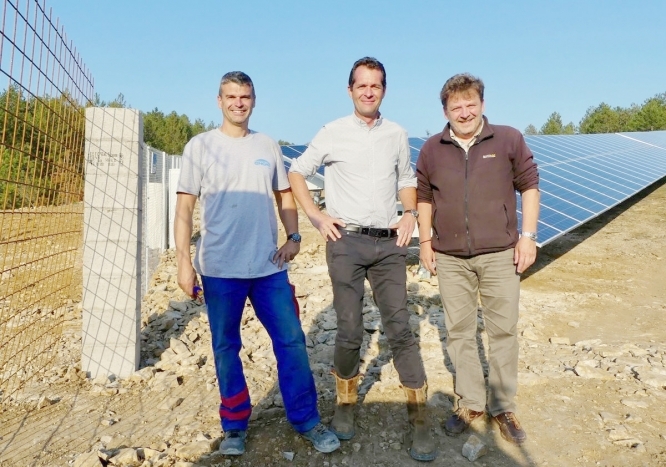 Mayor Jean-Claude Pons had been approached several times by developers to create a solar farm but wanted to do something that involved the villagers rather than outside firms. A business called 1,2,3 Soleil was set up and launched a crowdfunding bid through specialist site Enerfip. It resulted in €275,000 raised in a month and cash from one in four villagers. Energy produced is sold to the cooperative renewable energy supplier Enercoop and investors will receive a better return than a savings account. Built by Soleil du Midi, it is a village-scale project as it is less than a hectare when average solar farms can be 30 hectares. Other communes have since asked Mr Pons for details.